In celebration of October Ist, we present you with top 5 songs (and two other worthy of mention) dedicated to our beloved country by patriotic musicians over the years. This song came with a lovely video that featured and popularised Andrew (Enebeli Elebuwa) and also the phrase, “I am checking out”. It was sang by Veno Marioghae and was released on LP from Tabansi Records in 1984. At some point it became a sort of rallying call for patriotism to our fatherland in spite of its many problems (our leaders being chief among them). If them chop the oil o! Even if them drink the oil o! Now this was the classic October 1st song. Every Independence day in during the nineties, TV stations would overplay this song. It was sang by a choir of kids led by Funmi Adams. In the video the kids all wore gloves and performed a choreography that portrayed their love for “my beloved country”. Watching them we would,dance and sing along and imagine ourselves truly in love with Nigeria. A question though, “Where is Funmi Adams these days? King Sunny Ade brought together “everybody” that was “somebody” in the music industry at that time. The various blends of voices and indeginous languages made the song truly rich and almost totally Nigerian (not all the languages were represented for obvious reasons. imagine listening to a song sang in over 250 languages on one recording. We probably would still be listening to it today). The saddest thing about this song is that it still reflects the conditions in the country today. Which way Nigeria is heading to. Okay, the title of this song does not have Nigeria in it but remember the first line in JJC/Mr. Skillz’s rap: Nigeria is the best land. GBAO! Okay not enough. The song also featured the National Anthem sang in a rather cheesy way. Not gbao at all. SMH. Okay, this one too is a way off. It was not a real “song” but a very popular jingle whichwas aimed at mobilising the populace towards a strong sense of patriotism and was sponsored by MAMSER. Remember MAMSER? I bet you have forgotten what it stands for, acronym and iseology-wise. Click on this link to refresh your memory. Do you know of any other “Nigeria” song? Please add to the list via your comments. PS: Notice how there seems to be a scarcity of songs dedicated totally to our conuntry from this generation of musicians? If I am wrong tell me by pointing out one. It could be argued that Julius Agwu aka The Genius brought style to comedy. Undoubtedly one of the most stylish men in entertainment, Julius is our cover on the X2 page in today’s paper. (Read: Music, comedy, and a man called ‘Genius’). Here, we take a look at the fashion sense of the self-styled genius. Julius always look good in suits. Like a true “fashionisto” is choices goes beyond the conventional. And he is not above pairing his suits or blazers with a t-shirt. Speaking of T-shirts, Julius loves them too, preferring the ones with zany prints emblazoned on them and often pairing them with hats. Special: One of his best outfits would be the yellow themed outfit he wore to the 2009 HHWA . The jacket on its own was exceptional. * Click pix for full sizes. Love, Love, LOVE- the bow tie! At an event in the US. He sure knows how to pick a suit. At HHWA 2010 with wife Ibiere. Guess he’s not above repeating a favored piece but it doesn’t make him less stylish. At one of his “Crack Ya Ribs” shows. One of his hat and suit combos. His wit is seen in his choice of clothing. The hat and tee combo complemented with a pashmina. “The man that wears several caps” (seen here with a fan). Apart from comedy, Julius is also a into music and acting. Yet another cap… and another fan. Yet another hat. Being interviewed by Yvonne Ekwere of STV. Looking well paired with his pretty wife Ibiere. In the yellow themed ensemble; with KSB at the HHWA 2009. ** All pictures courtesy artist. X2 pullout in today’s NEXT Daily is dedicated to… (yeah, you got it!) the KING OF POP! 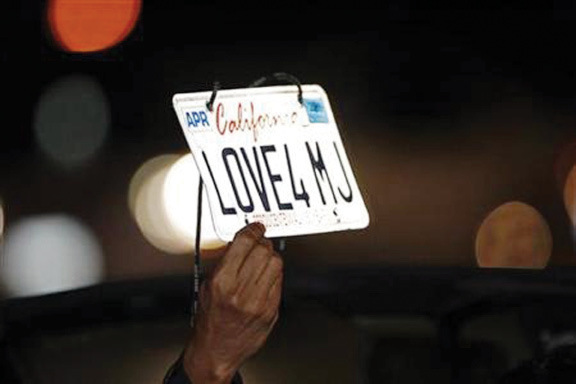 Rewind 365 days and you had Facebook profile pictures, ring-tones, even car plates being dedicated to the KING! Today is not even “almost” equivalent. For a remembrance of the one and only Wacko Jacko, it is more or less quiet. Fewer people give a damn this year than last year. No matter… because the people that matter do. Like his Mom, Katherine Jackson, who just published a “coffee table” book of pictures about the life and times of her dear son amidst some controversies. 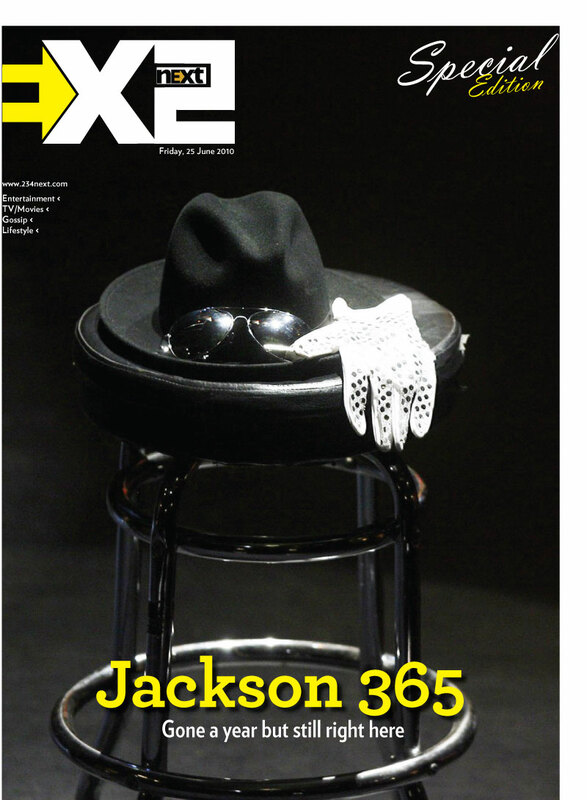 For more on Michael Jackson: One Year Later, visit the X2 page on 234next.com. The Toni Payne and 9ice divorce saga is apparently far from over. With rumours spreading that a mutual acquaintance of the couple, Ruggedman played a role in the break up, the tale takes a brand new twist. Flash back: Femi and Funke Kuti. According to several soft sell magazines at that time, the breakup was caused by Funke’s affairs with “several men” including two celebrities , Eddie Remedy (now ex-hubby of Kenny St. Brown) and Gbenga Adeyinka the 1st. Some magazines even went as far as printing excerpts from text messages sent to Funke’s phone by some of her “boyfriends”. Flashback II: Taribo and Atinuke West. Fellow footballer Sunday Oliseh, was implicated in the break-up of the couple’s short-lived marriage. And now, “the Toni Payne/9ice saga”. Some of the wind that seems to be fanning the flames stems from 9ice’s song “Once bitten Twice Shy” from his latest album. Even though the couple did not give an actual reason for their breakup, there are some who believe the song is more or less a tell-all without names. Toni Payne has denied the rumours that she is the person her ex-husband is referring to in the song even going as far to make a plea on her facebook status that the person who sang the song should please state precisely the persons he is singing about. To make matters worse a face has been put on the so-called friend amidst more denials. The man with the unfortunate face Ruggedy Baba, like Toni Payne, is not taking the recent insinuations lying down. According to recent reports, there has been a leak of a phone call he made to 9ice asking him to come out and stop the rumours. So far the only one who does not seem bothered by the rabid rumours surrounding the previously unceremonious breakup of his marriage is the man with two pockets. Hey, every publicity is good publicity and if it helps album sales why put an end to a good thing, hein? We understand you, Adigun but wethinks it’s about time you consider other reputations too and come out straight on the nodder and the noddee. After all, if you could release official press-statement over your separation and divorce to avoid ill-rumours (according to your publicist) you can also do same for the cause of both and for the same reason. And if indeed the rumours are true, it would be sort of crass and cruel of 9ice to turn such a “private” matter into a hit song. If anybody (Tuface, for example) ever advised you on a good image, they probably told you (all of you) that it can’t be bought. It is earned. Please maintain it. No one ever really wants to know what they don’t need to know. Give us some good old entertainment and keep your nasty sides to yourselves. This is Nigeria where bad publicity is bad publicity! Once again, ask Tuface. The Future Awards breezes through Enugu, Port Harcourt and Accra! After visiting Abuja, Yola and Kaduna, Nigeria’s biggest youth event, The Future Awards (under the umbrella The Future Project), continued its national tour of the six geo-political zones of the country, taking its youth town hall meetings to Enugu, Port Harcourt and the Ghanaian capital, Accra. “On these visits, we have tried to see that we can reach individual young people directly and practically. We don’t just want these crowds of people, we want to ensure that message goes through to the attendees – we had them, not just talk about Nigeria and then know how to nominate outstanding young people, but also to make them ambassadors in their communities for the values we hold dear – entrepreneurship and value creation,” Chude Jideonwo, the Creative Director, said. The Ghana Town Hall meeting was the first of the international town hall meetings for this year, where The Future Awards engages with communities of young Nigerians in different countries. It was held in conjunction with the Nigerian High Commission in Ghana. The High Commissioner, Senator Musiliu Obanikoro, sent a representative. The event held at the Shangrila Hotel, with an overflowing hall of young Nigerians living, working and schooling in Ghana, as well as a mix of Ghanaian youth. Also present was Screen Producer of the Year winner, Onye Ubanatu. Performers included Ghanaian comedian Peter Wincousyn, Nigerian keyboardist Yemi (who reminded guests of Cobhams), Sammy and Bizkit. The event hosts were daughter of ace Nigerian producer, Daphne Akatugha (who is also one of the coordinators of the International Students Association) and Ghanaian writer Robert. Nominations are still for the awards in the 20 different categories, and one of the main objectives of the tour is to get nominees from across the country and outside. According to Jideonwo, nominees are especially wanted in the Best Use of Science and Excellence in Public Service categories. Anyone can nominated any young Nigerian between the ages of 18 and 31 via the website http://www.thefuturenigeria.com. Next on the schedule are Benin, Ile-Ife, Calabar, London holding at the University of East London, and Johannesburg, which will be the last town hall meeting, held in conjunction with naijaborn.com, on the 28th of November. Danny Glover is passionate about Africa and her people. One only has to prompt a discussion about the continent and the veteran actor-activist will not hesitate to launch into a discourse on his enthusiasms and optimism for Africa. Born to parents who were active members of the National Association for the Advancement of Coloured People (NAACP), Glover has won the association’s Image Award five times. His impressive resume includes serving as the current board chairman for TransAfrica Forum, a non-profit organization that focuses on conditions in Africa, Latin America and the Caribbean. He has been an ambassador for the United Nations Development Programme (UNDP) since 1998. In 1994 Glover took an 8-day tour of South Africa alongside fellow actors, Alfre Woodard, Angela Bassett and Delroy Lindo, urging blacks to vote in that country’s first fully democratic national elections. “The first time I came [to Nigeria] I was 25. Since then, a lot of things have happened for me. There’s a degree of optimism [and] pragmatism that comes with wisdom and age. There’s also a diminishing of the romanticism we often have about the continent. The real issues need to addressed [and] talked about. I was in Ethiopia in 2005 at a conference sponsored by the African Union, UNICEF and the Bob & Rita Marley Foundation – a symposium that brought young people together from all over Africa to talk about how they see the continent, what the future of the continent is and the roles they need to play in the future of the continent. “I’m always enamored with the fact that when we talk about this extraordinary continent of 54 nations, that it’s young people who’ve always led the march for change. It was young men and women who led the march for decolonization. It’s these people who have stood for the idea that they are the architects of their own future. In that sense, I’m always enamored with the renewal of ideas, passion … commitment. Young people realize that it’s their time to really provide us with another way of looking at the world. The issues are monumental. If you go to most countries, including in Africa, majority of their population are young below the age of 20 years old. [We] have that reality hitting us right in the face on a planet with diminishing resources. How do we begin to conserve our energy, our resources? How do we begin to protect this fragile planet, Mother Earth? All of these things are on the table of, not only those of us that are mature, but at the forefront, apex, of young people’s ideas as well. “How do we talk about service? How do we talk about a new kind of love? Dr. [Martin Luther] King always referred to the idea of agape love. How do we transform our societies into life-affirming nations and communities of love where we are able to sit at table, break bread and carry on the discourse about peace? Peace, as King would say, is not simply the absence of conflict but the presence of justice. The Performing Musicians Association of Nigeria (PMAN) has again accused telecommunication companies in the country of Copyright violation by using Nigerian music as ringtones for their subscribers without paying the required royalties. And on June 1, the Deputy Governor of PMAN (Lagos chapter), Bvoo, led a group of representatives to MTN’s head office at Golden Plaza in South-West Ikoyi, to protest the use of members music as ringtones without compensation. Bvoo said: “These telecommunication companies are stealing from artists. They are not encouraging us, instead they are giving us bulls…t. They make use of our works without payment. “If you check phones, you’ll discover that 80 percent of these ringtones are homemade. These are works made from the sweat of hardworking Nigerian artists. They refuse to pay for the usage of these works either by paying the artist directly or paying the body acting on behalf of these artists,” he said. He also stressed that PMAN is ready to do everything legal to protect the interest of its members. “We have woken up, and we are ready to take the bull by the horn. We need to be paid,” he said. Andrew Okereke, the Public Relations Manager for MTN, however, countered that PMAN is just presenting a new proposal to his organisation. “The truth of the matter is that on Monday (June 1) they came and after our discussions they apologised. We have been dealing with them via a third party initially but they are now requesting that we make arrangements to deal with them directly. They are asking us for a new partnership and to that, we have asked that they write us officially. We are still waiting for their letter,” Mr. Okereke said. PMAN’s national president, Tee Mac also confirmed the action taken against the telecommunication companies. “Yes we decided to seek legal action against these telecommunication companies. We believe that as a union and with the assistance of the law, we can get them to pay these royalties,” he said. He also confirmed that this was the first time PMAN was asking to be paid royalties directly. “Initially, they (telecommunication companies) made arrangements which they refused to honour with the Music Copyright Society of Nigeria (MCSN), which is the body designated to collect these royalties. The body now has cases against these companies for refusing to pay for the use of these artists’ works,” he said. The chief executive of MCSN, Imayo Ayilaran, stressed that the organisation is also involved in legal battles with the telecommunication companies. “As of today (June 4), the Federal High Court has just ruled in our (MCSN) favour for Zain to pay ₦100 million for copyright infringement,” he revealed. He confirmed that the body initially had an agreement with the companies but has backed out because the companies refused to commit to their own end of the agreement. “Initially, we had an agreement which we thought was a good faith gesture but it was actually bait from these telecommunication companies. They first promised to settle through their content providers who will determine how much was owed but they have never honoured it,” he said. When NEXT contacted Zain, a public relations official declined to comment on the issue. Born Chike Nosa Agada, R&B singer/songwriter Chykay can claim to be making waves – not tsunami height, but waves nonetheless – over the Internet. His music is gaining recognition on both Nigerian and UK radio stations and three of his tracks (‘Smile’ featuring Falz, ‘I Just Wanna’ and ‘Mo Fe Soro’) are amongst the more popular songs on music website sturves.com. He has also worked alongside artists like Beazy, L (a.k.a. T.J. Stattz), Playbach, Falz, 2Slick and Uzzy. X2 came across Chykay’s ‘What Are You?’ while randomly surfing Facebook (thank goodness for FB). A: Versatile, unique , creative. Q: Have you always wanted to be a music artist? A: Well I was brought up around music. My dad happens to be Harry Mosco … the king of Afro funk. He’s known for hits like ‘Country Boy’, ‘Sugar Cane Baby’ and many more. He also opened the first digital studio in Nigeria, so we had likes of Onyeka Owenu, Sir Shina Peters, King Sunny Ade and Lagbaja stroll in and out the studio. [It] was set up in our garage (LOL). It was and still is state of the art, so I guess it contributed to my love for music. I have passion for what I do. A: Well, I really like writing about personal situations in my life so it’s always a while before I enter the studio. Like my father, I too, am a perfectionist. I like to sing from the heart so listeners feel what I feel. Once I get inspiration a good instrumental would do the song justice. Q: How would you rate the Nigerian entertainment industry? A: Well, I must say I am so impressed with the industry today. Things have definitely moved forward. There’s so much talent in our beloved Nigeria. Recently I was watching CNN and I saw Asa. I was so happy I started bragging to the people around me – “You see she’s Nigerian.” (LOL). I am so impressed but we still have one major problem – PIRACY. Yeah, artists have found a way to make money off shows but to make the maximum of what we have we have to fight PIRACY. I am well aware we have a musician body called PMAN. I hope they tackle this problem now that the whole world is watching us. Q: Any plans to work in Nigeria? A: Definitely. I was in Nigeria for about 3 months last year… spent most of my time in the studio. We created tracks like ‘Mo fe soro’ and ‘Steeze and Cruise’. I plan to officially release them [in Nigeria] this summer. A couple of my songs are on the internet and are receiving good feedback. Q: What type of audience do you have in the UAE? A: Well, really, I don’t have an audience in the UAE. I was in England before I came to Dubai. I had been doing my music officially since 2003 in England. I left England by 2008 for Nigeria. I had finished my bachelor’s degree in England and then I left for Dubai in January 2009 to do a master’s programme. I chose Dubai just to extend my knowledge of culture being that I have never been in the Arab world. I guess my audience is pretty much mixed thanks to the internet. Q: Are you following any of the Nigerian music awards? A: Yes I am. I was just telling my manager that we should work harder and by God’s grace we could be nominated for the next Hip Hop Awards – he screamed AMEN!!! Q: Which Nigeria-based performer would you like to work with most? A: Well, I am into different types of music. I love anything that sounds good, so I’d love to work with anybody. Asa and Cobhams would just make my year!